On the 3rd January, our wonderful volunteers attended Bishopshalt School in Uxbridge. Marian and Amanda presented to around 400 of their year 10 and 11 students. 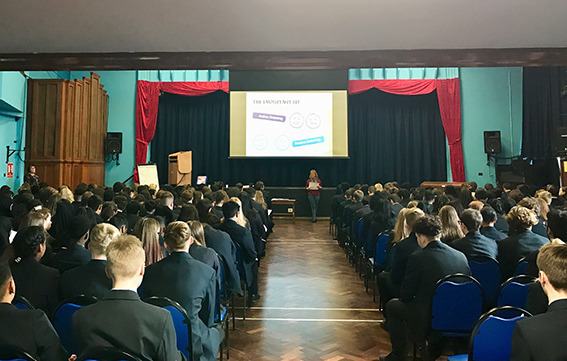 With exams due to take place over the coming months and stress levels rising, the team explained about active listening and helping each other to talk about how they are feeling.